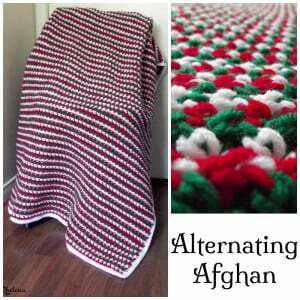 Crochet this afghan in any colors and to any dimension you like. It’s cozy and will be appreciate by anyone as a gift. You will need a worsted weight yarn in three colors and an I crochet hook.